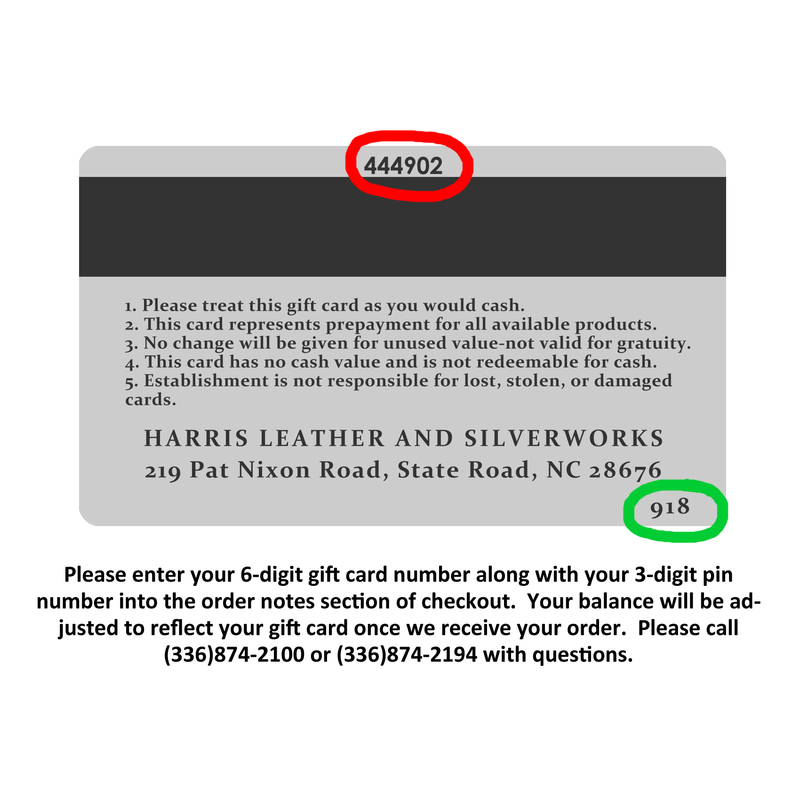 NOTE: If you have a gift card you would like to use on your order please enter the 6-digit gift card number and 3-digit pin number in the ORDER NOTES section on checkout. Your balance will be adjusted accordingly once we receive your order. Currently we are only accepting online orders from US and Canada. Other international customers please feel free to call or email us to place your order. Our email address is: inquiries@harrisleather.com.